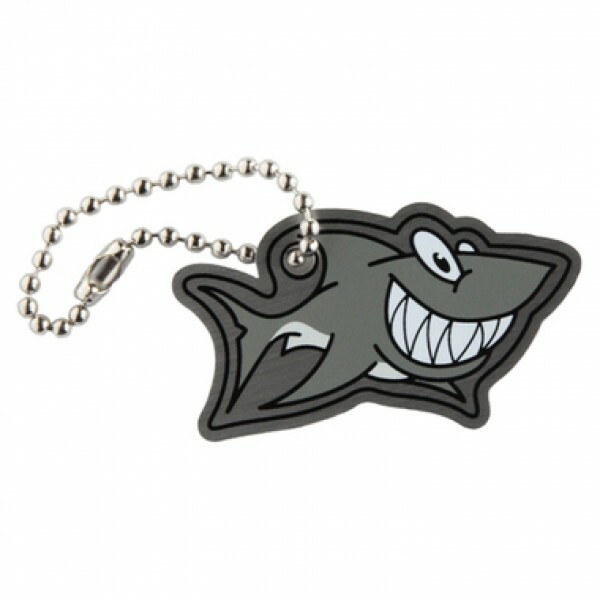 This fun new trackable known as the Shark Cachekinz will be a delight to find in any cache! This fun new trackable known as the Shark Cachekinz will be a delight to find in any cache! They are fully trackable at Geocaching.com, each with a unique tracking number so you can follow their travels. Made of aluminum, just like travel bugs, these fun travelers also come with a chain so that it may be attached to another item. Teddy Bear Cache Buddy measures just under 2".